Reliability and future-proofness – two vital elements for any administrator or controller when planning and setting-up a network. With LANCOM Systems you have a manufacturer at your side providing a matchless investment protection. 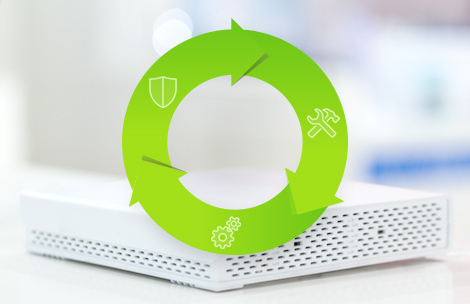 The lifecycle policies from LANCOM (infopaper) provide full transparency and reliable planning with regard to the firmware updates and product support for your LANCOM infrastructure. As an aid to the strategic planning of your network, this website gives you an overview of our policies and the status of your devices. We have drawn up a number of tables to provide you an overview of our current and end-of-sale products. These comprise all of our products with their end-of-sale date, the firmware version they support, and information about the time frames concerning further feature updates and technical manufacturer support. We also offer you free manufacturer technical support and critical security updates within the warranty period of your device. Our free operating system LCOS (LANCOM Operating System) is constantly undergoing further development. The following information explains our notation of the development status and version names. A Release Candidate has been extensively tested by LANCOM and includes new LCOS features. It is suitable for testing and is not recommended for use in productive environments. The release has been extensively and successfully tested in practice. It contains new features and improvements over previous LCOS versions. Recommended for use in productive environments. This is a further development of an initial release version and contains minor improvements, bug fixes and smaller features. Contains important security fixes for the respective LCOS version and ensures that your security level remains very high on an ongoing basis. 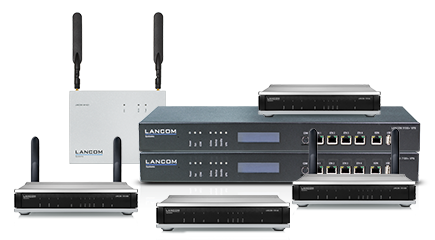 Here is an overview of the currently supported versions of the free operating systems LCOS, LCOS SX, LCOS LX, LCOS FX of our in-house firmware for the entire device portfolio of LANCOM Systems GmbH. 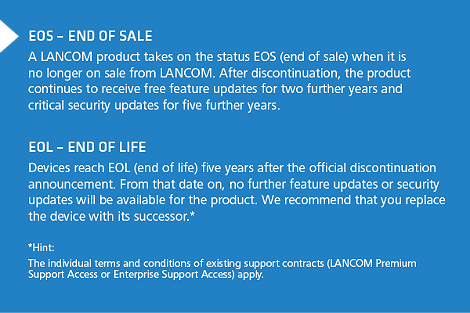 LANCOM offers two warranty options allowing you to extend the warranty on your LANCOM products from 3 to 5 years. With the LANCOM Warranty Advanced Option you have the additional assurance that an advance replacement device is delivered by the next business day. The perfect backup for your critical network components in emergencies. What's more: If the device has still a valid warranty, you automatically receive free technical manufacturer support and on request critical security fixes - even longer than two years after the EOS date. * Applies to metropolitan areas EU, outside the EU longer shipping times are possible.